Want to find out more about Will's incredible journey? Check out some of the stories below. Or perhaps you want to contact Will for a story? Contact Will Turner at NZorbust@gmail.com or 804-240-9351. With his 60th birthday approaching, Will Turner wanted to set a big goal for himself. So the Richmond native, who completed his first triathlon 25 years ago, first came up with the idea of doing six triathlons when he turned 60. But he mentioned that to a friend and she told him that six triathlons at age 60 had been done before. WeAreSuperman Podcast #35 this week is Ironman warrior, Will Turner. 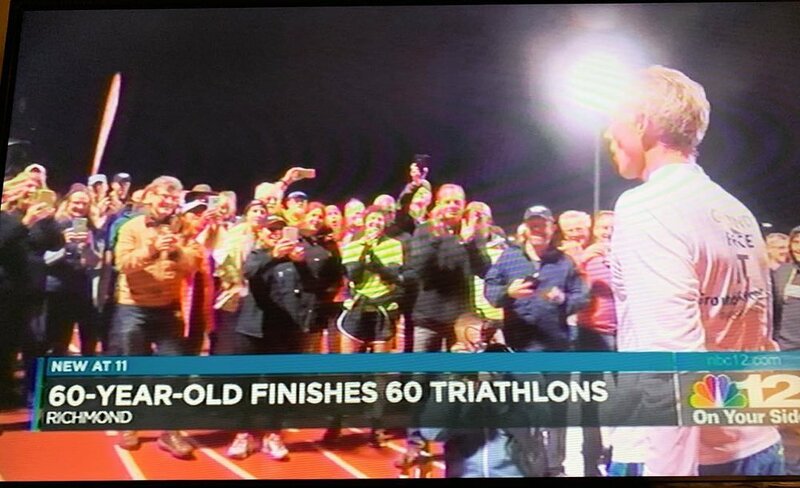 Will is on a mission to complete 60 full length Ironman Triathlons this year to celebrate turning 60 years old. He and David have a fun talk about being crazy in a world of crazy people, not letting age define you and “Living Your Bold”. Turning 60? Then Complete 60 Ironmans. That is What Will Turner is Doing! ...Four of the five racers in the single anvil completed the 140.6 total miles of the race. Will Turner of Richmond, Va., was the top finisher with a time of 16 hours, 42 minutes and 48 seconds.